As of late we’ve had a lot of inquires about when is the best time to visit the Southwest and the Grand Canyon, and why. The simple answer is that there is really no bad time to come out the Grand Canyon, The Wave, or Sedona. Now, obviously, we know that answer is not exactly what you were looking for, so we here at Adventure Southwest are going to break it down for you a little more. Contrary to popular belief, it does get a little chilly out here, and we do (occasionally) get snow. The South Rim of the Grand Canyon is between 6,800 and 7,400 feet, depending on where you are. What that translates to is that it can be cold there in the winter months, but also provides for the breathtaking experience of seeing or hiking the Grand Canyon with a dusting of snow. That elevation also provides us with outstanding weather conditions from spring to fall, with a little bit of warmth during the height of summer. Other Adventure Southwest destinations including Coyote Buttes, or”The Wave,” Buckskin Gulch, and Antelope Canyon are also offer pretty perfect weather during the Spring and Fall. These destinations can be uncomfortable, or even dangerous, during the peak of summer. Because of that we always recommend hiring an experienced guide to make sure everyone is safe. The biggest concern for many travelers coming out to see the Grand Canyon or Antelope Canyon is avoiding the crowds. Anytime of year, Adventure Southwest guides try to avoid crowds at all costs, but obviously some months are easier than others. The big thing to consider here is vacation time and school season. 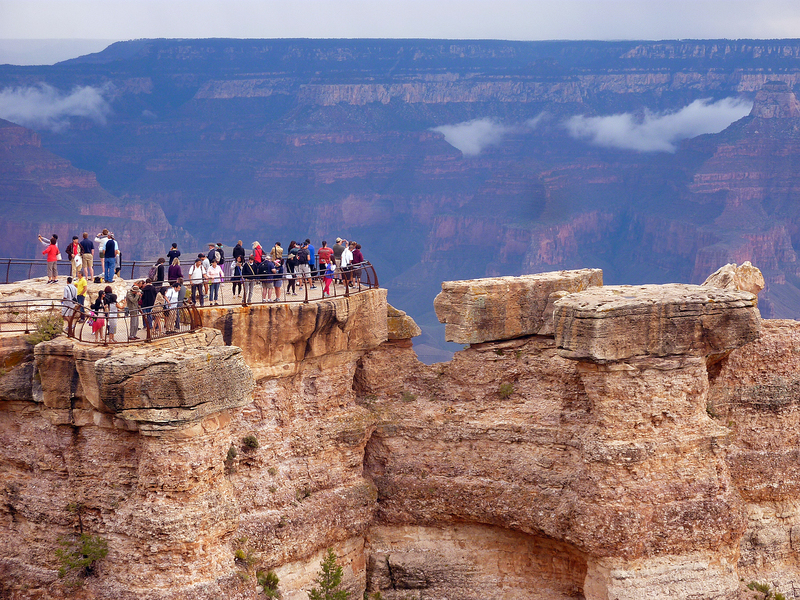 The summer months (June-August) are definitely some of our busiest months at the Grand Canyon. The Fall through Spring are significantly slower times for us and also a great time to take advantage of good weather. Crowds are also based on where you go – if you see the “standard” viewpoints or don’t venture below the rim, you’ll never avoid them. Adventure Southwest guides specialize in making your experience, a private experience. THE BOTTOM LINE is that really there is no “bad” time to visit, but the fall and spring months definitely provide for the best experience. Please feel free to contact us anytime for more info!